We received positive feedback about our previous post focused on Harmonics for the Fretless Bass. It seems the fretless audience is very receptive to technique related content, so let’s take another chance to run through a “How-to” piece. Vibrato is a musical effect consisting of a regular, pulsating change of pitch. 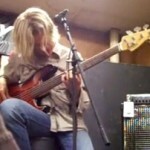 For the fretless bassist, this technique can provide a great deal of flexibility and tonal control. 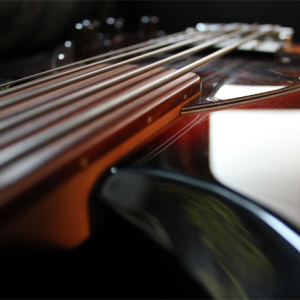 Remember, the tone you can create is one of the most important reasons to play fretless in the first place. Vibrato can be achieved in multiple ways. 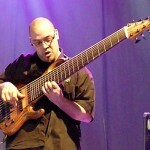 Let’s start with the most common technique employed on fretless. Similar to the typical bends and vibrato you see on electric or acoustic guitars, the easiest vibrato to learn is the bending type. 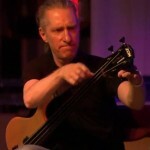 To employ this technique, simply press down where you want a note to be, and bend the string upward. Then waver it between up and the original position at a fast or slow speed. There is one catch for fretless – if you want to be able to pivot the vibrato around the actual note, you need to fret just below it. The reason for this? If you “fret” the note exactly on it, you can only waver the string above the note. To get the full range smoothness, drop down about 1/4 of an interval and start bending. You will pass over the note of choice on both the up and down motion of the bend. 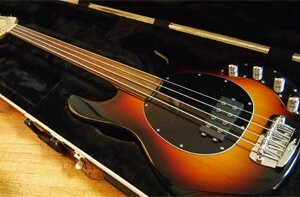 Sliding vibrato is the most commonly used approach on the fretless bass. To use this technique, you fret right at the main note you want to “color up”. Then, you literally slide your fretting finger along the string itself, crossing the note in each direction like you did with the bending approach. Although this is more difficult to execute smoothly, it provides a better overall sound on fretless. While bending vibrato can be used on fretted basses, sliding vibrato cannot. Why? Because sliding from fret to fret does not elicit the nice “wah”-like undertones you get on fretless. Basically, you are doing a slide from note-to-note. In other words, this is a special technique reserved only for fretless string instruments. That’s all I have for you today. Check back next Friday for Part II of our Vibrato 101 content.